PROVIDENCE, R.I. (January 14, 2019) — Dr. Eric Berthiaume has been named the president of University Gastroenterology. In his new role, Dr. Berthiaume will be responsible for overseeing the operations of the specialty group and ensuring patients continue to receive the highest level of gastrointestinal care. “I am deeply honored to have been selected for this important role at University Gastroenterology. As part of my new role, I will work closely with other University Gastroenterology physicians to strategize on novel, and effective ways to improve patient care in the most cost-effective manner,” Dr. Berthiaume said. With nearly 20 years of experience as a medical practitioner, Dr. Berthiaume specializes in gastroenterology and has treated a variety of gastrointestinal diseases by performing colonoscopies, upper gastrointestinal endoscopies, and other specialized medical procedures. Dr. Berthiaume holds a faculty position as a clinical assistant professor of medicine at the University of New England College of Osteopathic Medicine. 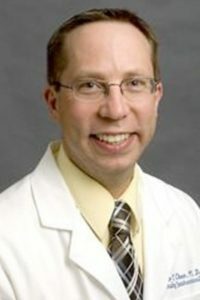 He completed a fellowship in gastroenterology at Brown University and a residency at the Dartmouth-Hitchcock Medical Center, one of U.S. News & World Report’s highest ranked medical and academic hospitals in the nation. Dr. Berthiaume also regularly provides consultative services at Kent County Memorial Hospital and the Roger Williams Medical Center. He earned his medical degree at the University of Cincinnati College of Medicine, and is an alumnus of the College of the Holy Cross in Worcester, Mass. University Gastroenterology is a 23-member single specialty group that provides patient friendly, cutting edge care for diseases of the liver and gastrointestinal tract. UGI Physicians are regionally recognized for their expertise in general gastroenterology, inflammatory bowel disease, liver disease, and therapeutic endoscopy. Campus locations include Providence, East Greenwich, and Portsmouth. UGI physicians have affiliations at Rhode Island Hospital, Miriam Hospital, Kent County Hospital, Newport Hospital, and Roger Williams Hospital.